Cal Poly Space Systems conducted a successful full duration test fire of Hybrid Motor 7. The oxidizer pressure was too low, leading to decreased thrust at the end of the burn. Check out the burn here. The drogue parachute was tested behind the wind tunnel at 100 mph. The deployment was successful and the video is available here. 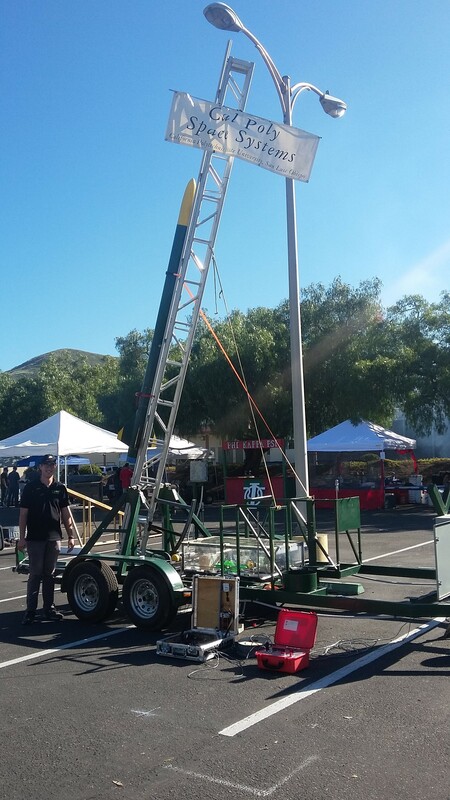 Cal Poly Space System’s successfully tested the separation device for apogee deployment of the drogue parachute. The mechanism uses a pyrotechnic charge to shear 8 nylon machine screws. 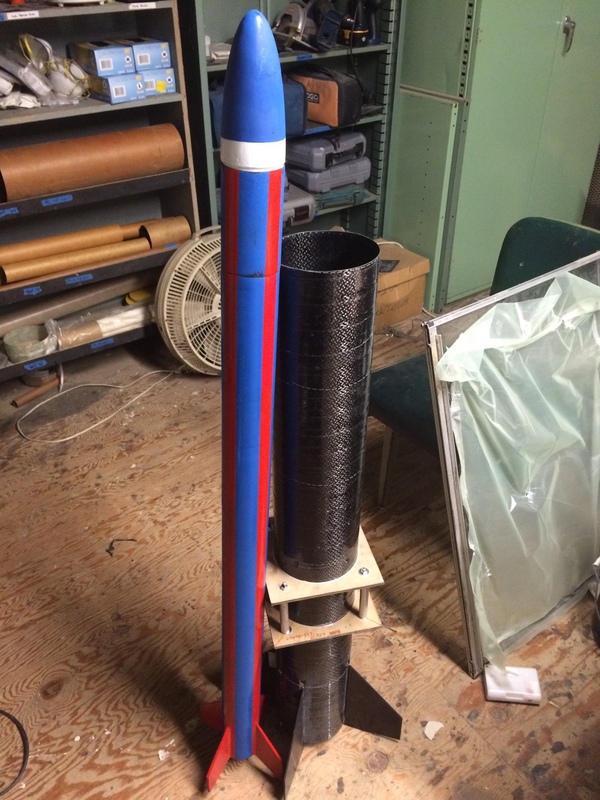 The system will be flown on May 7 at the Friends of Amateur Rocketry site in the Mojave Desert. This coming weekend is an exciting one! Several of our members will be at the Friends of Amateur Rocketry (FAR) launch site to test the first two rockets: Lexington and Saratoga. Lexington is built for speed to test the avionics system while Saratoga is built to size for the separator test. 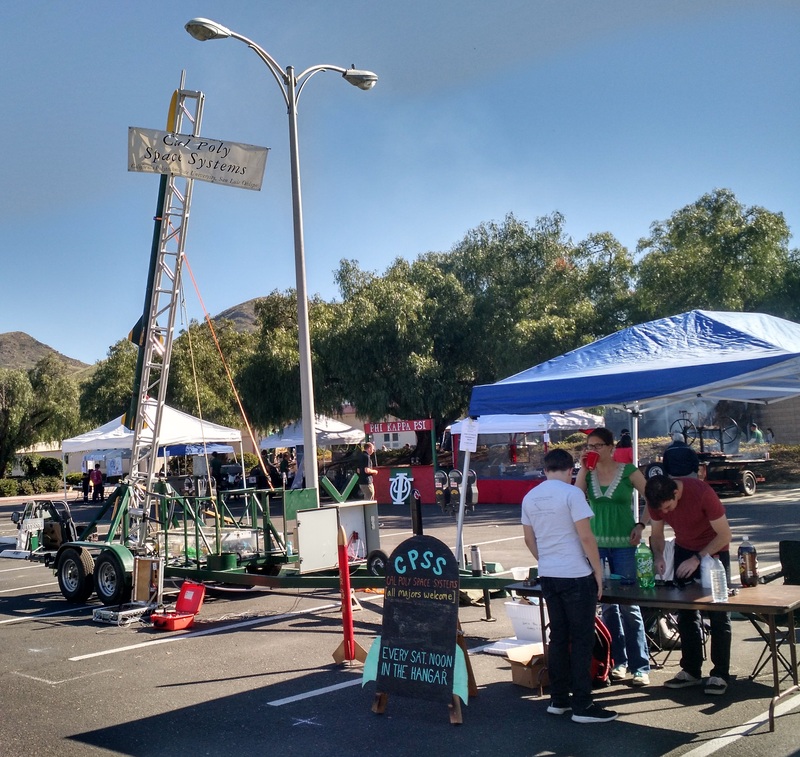 The members that remain in SLO this weekend will run the CPSS booth at the Open House Club Showcase and the water bottle rocket launch activity. The Club Showcase booth will be as conspicuous as possible; we’re bringing the trailer down so we can set up the launch rail with the large Caution: Flammable rocket.